Sacrifice, also known as Qurbani, means slaughter of an animal in the name of Allah on the 10th, 11th or 12th of the Islamic month of Zil Hijjah. The real purpose of qurban is to attain Allah's consent and to wish to approach Him. A person who sacrifices an animal approaches Allah and attains His consent through it. Sacrifice is also an example of social assistance and solidarity. In general, the poor eat most of the meat of the animals that are sacrificed. As it is seen, the understanding of approaching God and helping the poor exist in the essence of this worship. No matter what the fiqh decree about it is, sacrifice has had an important place for centuries in our religious life as a kind of worship that is a symbol and sign of Islamic communities. 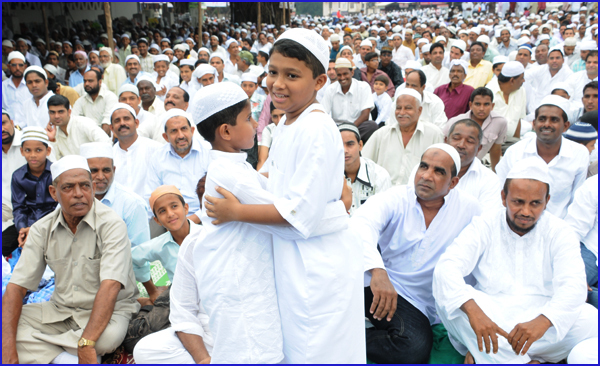 The practice of Qurbani can be traced back to Ibraheem who dreamt that God ordered him to sacrifice his son. Ibraheem agreed to follow God's command and perform the sacrifice, however, God intervened and informed him that his sacrifice had been accepted. 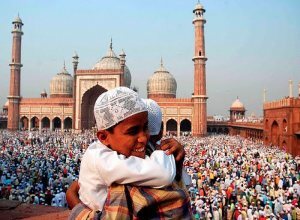 Unlike the Bible, there is no mention in the Qur'an of an animal (ram) replacing the boy, rather he is replaced with a 'great sacrifice' (Zibhin azeem). 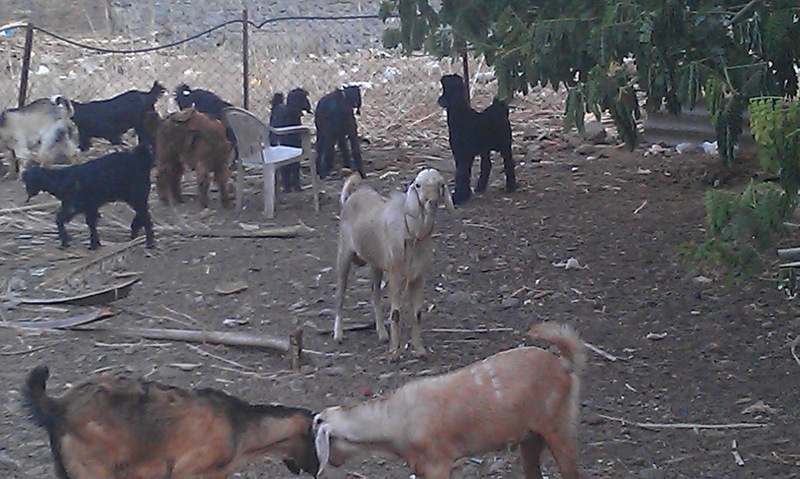 Since the sacrifice of a ram cannot be greater than that of Abraham's son (and a prophet in Islam at that), this replacement seems to point to either the religious institutionalisation of sacrifice itself, or to the future self-sacrifices of the Islamic prophet Muhammad and his companions (who were destined to emerge from the progeny of Ishmael) in the cause of their faith. From that day onward, every Eid al-Adha once a year Muslims around the world slaughter an animal to commemorate Abraham's sacrifice and to remind themselves of self-abnegation in the way of Allah. 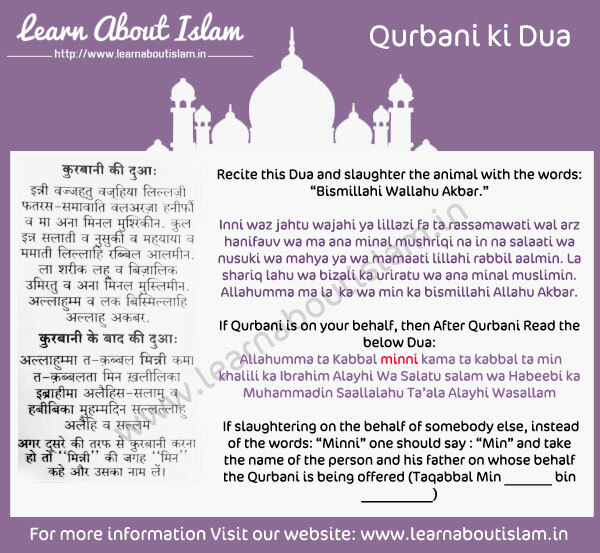 To slaughter the animal as per the guidelines prescribed by the Shariah is called Qurbani. 3. The 2 main arteries of the neck. 1. The person who is performing the actual Qurbani should be a Muslim. 5. Not to take anybody else’s name other than the name of Allah Ta’ala. 7. That the animal should have some sign of life in it. 1. To sharpen the knife nicely before slaughtering the animal. 2. To give water to the animal before slaughtering it. 4. The person doing it should be with Taharah. 5. The person doing it should face the Ka’aba. 6. To slaughter the animal with the right hand. 7. To make haste and be swift in slaughtering the animal. 8. To clearly pronounce the “Kasra” (Urdu – Zer) of Bismillahi Wallahu Akbar. 10. To tie the fore and hind legs of a big animal, but leave its right foreleg untied. The proper method of slaughtering the animal is that the animal should be made to drink water, then it should be laid down on its left side in such a manner that the animal’s head should face the south and its muzzle the Qibla. A sharp knife should be in held in the right hand and with the recital of “Bismillahi Wallahu Akbar,” the aforementioned 4 vessels in the animal’s neck should be cut, but the head should not be separated from the body. The animal should be released after doing so. 1. To lay down the animal and sharpening the knife in front of it. 2. Using such a blunt knife. 3. To slaughter the animal from the back side of neck. 4. To slaughter in such a manner that the head is separated or the marrow in the bone at the back of the neck is reached. 5. To cut away the neck or start skinning the animal when it is still alive. 6. To hold the leg of the animal and drag it to the place of slaughter. 7. To slaughter 1 animal in front of the other. 8. To slaughter at nighttime. 9. To slaughter an animal which will deliver soon. 10. To do something against the Sunnah of slaughtering mentioned above. The method is to make intention for Eid-ul-Fitr or Eid-ud-Duha for two Rakats Wajib and then lift your hands up to your ears and say ‘Allahu Akbar’ and then fold them below the navel as normal. Now pray ‘Sana’ and then say Allahu Akbar and lift your hands up to your ears and release them and again lift your hands and say Allahu Akbar and release them again and then lift your hands again and say Allahu Akbar and then fold them. This means fold your hands after the first and fourth Takbeer and in the second and third Takbeers release your hands. The best way to remember is that if the Imam shall recite after the Takbeer then fold your hands and when he shall not recite (after a Takbeer) release your hands and hang them on the side. After folding your hands after the fourth Takbeer the Imam will silently recite ‘A’udhubillah’ and ‘Bismillah’ and then he will pray Surah al-Fatiha (‘Alhamd Sharif’) and a Surat loudly and then go into Ruku and Sijdah and (thus,) complete one Rak’at (unit). Then in the second Rak’at the Imam will first pray the Alhamdu and a Surat then lift your hands to your ears and say Allahu Akbar and release them; and do not fold them and repeat this twice. Therefore a total of three times the Takbeer shall be said. On the fourth time say Allahu Akbar and without lifting your hands go into Ruku. This therefore means that in the Eid prayer there are six extra Takbeers; three before Qira’at (recitation) and after Takbeer-e-Tahrima in the first Rak’at and three after Qira’at in the second Rakat and before the Takbeer for Ruku. Method of performing the Eid prayer has been taken from the English version of the book “Qanoon-e-Shari’at”, by ‘Allama Shamsul ‘Ulama Shamsuddin Ahmed al-Radawi, the student of Sadr al-Shari’ah, Allama Mufti Amjad ‘Ali al-‘A’azmi.